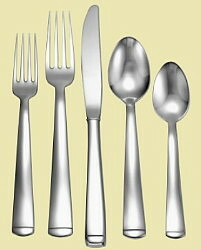 Click the image below to shop our selection of 18-10 Stainless Flatware. When you decide to purchase Liberty Tabletop flatware, you�re not only choosing an item that will be an elegant addition to your home, you�re choosing products that you will literally use every day. You want to know what you�re using is safe for you and your family. 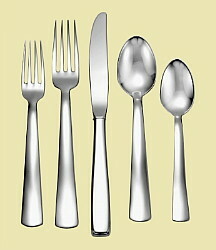 After all, you don�t just handle your flatware; you put it in your mouth! As such, you want to know that it doesn�t contain any chemicals or contaminants that could be harmful, and you also want flatware that will last and look beautiful now and for years to come. At Liberty Tabletop, we work hard to provide you with a Made in USA product that�s beautiful and provides you with the quality you expect. 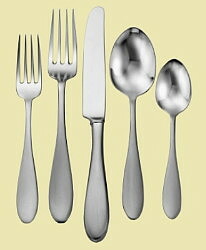 And, we�ve taken measures to ensure that you not only have a safe, attractive flatware product, but your also getting an excellent value versus the imports. When you choose Liberty Tabletop, you�re choosing a company that believes in growing our national economy, providing career jobs to people in our community and preserving the craft of flatware manufacturing and tool making. Liberty Tabletop is also socially conscious � we know that foreign companies don�t follow the same rigorous standards as we do here in the United States, and often resort to child labor and prison labor to cut costs. In many countries abuse of workers and unsafe conditions for workers in terms of health and safety are common. We�re a part of the movement of people who are not willing to support such activities with our spending or our manufacturing process, and we�re as good as our word � we use products in our manufacturing process, such as steel & packaging, which are also made in the United States. In addition we hire firms (accounting, legal, marketing) that are local, so we can keep the dollars flowing in our local economy. Remember, every time a factory closed and production was shipped to Asia it was not only the workers at the factory that lost their jobs, but also the workers for companies that supplied them with raw materials down to the pizza shop across the street that fed them lunch. For Liberty Tabletop, what we do every day is so much more than produce excellent-quality flatware � we keep jobs and money right in our community, so we can help encourage economic growth. At Liberty Tabletop, it�s all about the people � we recognize our most valuable assets are our employees, as well as our satisfied customers. 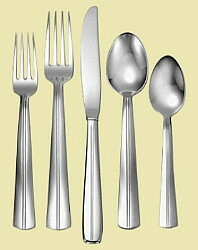 We believe when you choose to purchase your flatware from us, you will be amazed by the quality, pleased with the price, and satisfied with a product you can enjoy now � and for years to come. 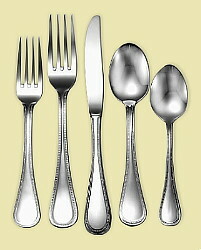 Let us provide you with heirloom flatware you can be proud to pass down to the next generation. 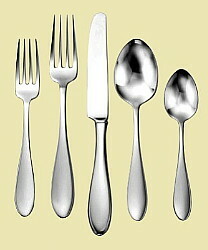 LUX: Our highest quality flatware which includes the Betsy Ross, Mallory and Prestige patterns. 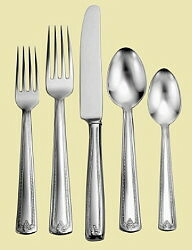 Heritage: Bridal quality flatware which includes the Cedarcrest, Lexington, Lincoln, Modern America, Pearl, Pinehurst, Satin America and Weave patterns. 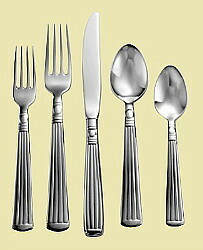 Sherrill Home: Everyday use flatware which includes the Candra, Classic Rim and Susanna patterns. 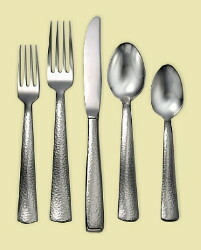 SMI: Affordably priced which includes the Celtic, Providence, Satin Richmond and Woodstock patterns.